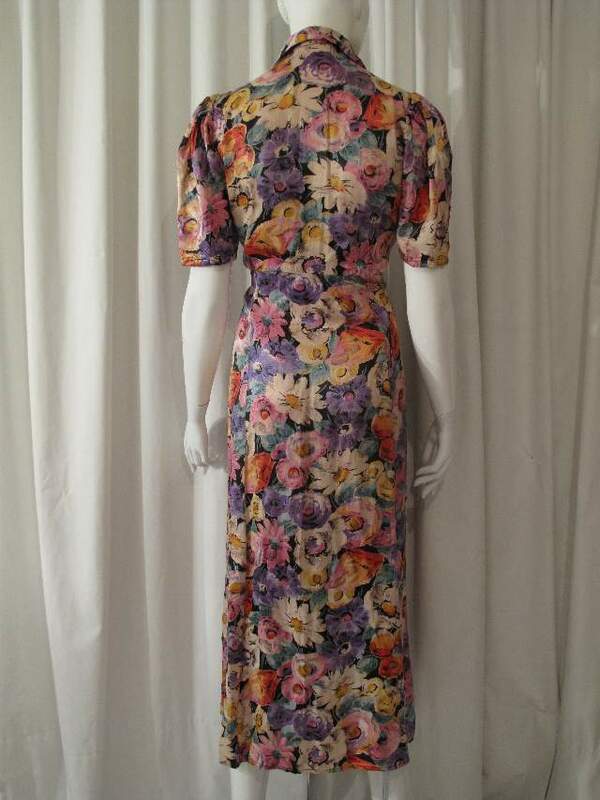 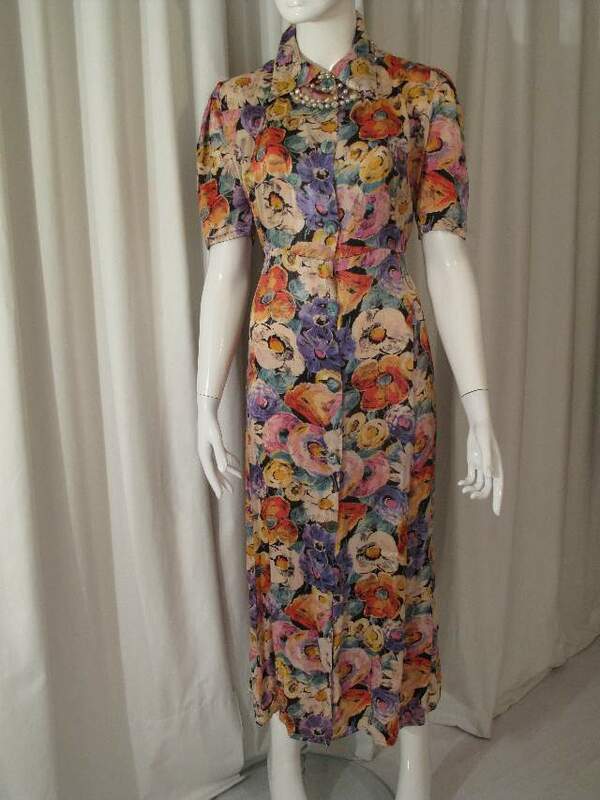 1930's Rayon satin floral printed vintage tea dress. 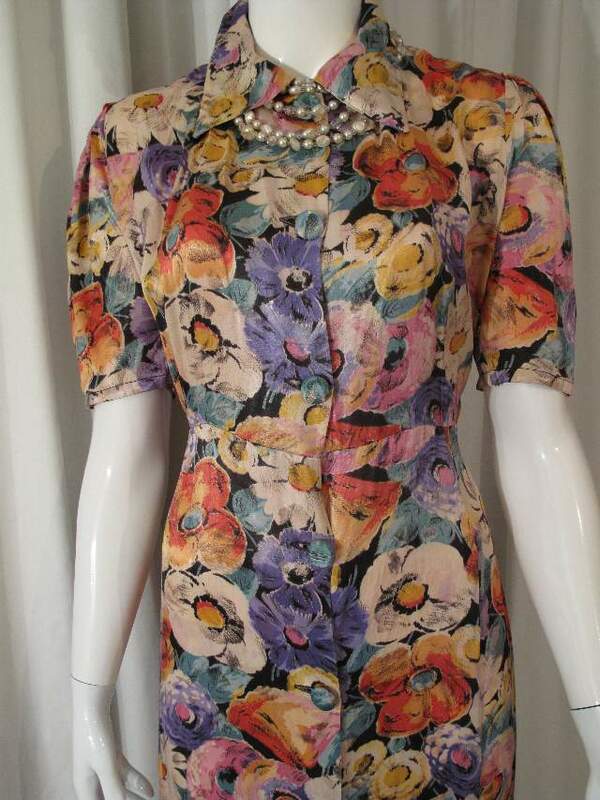 Short puff sleeved button through dress with one piece shirt collar. 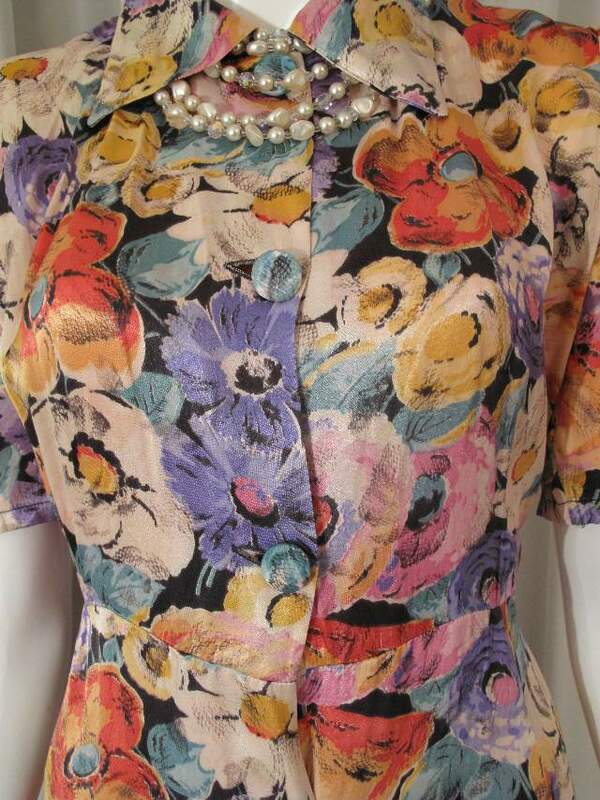 The skirt is panelled and long length. 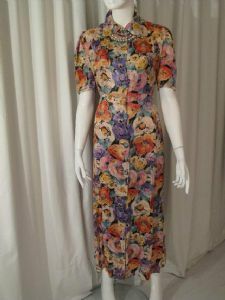 The print is fantastically typical of the period, big splashy flowers in muted shades of dusky pinks, lavenders, creams, peaches and soft greens on a black ground. 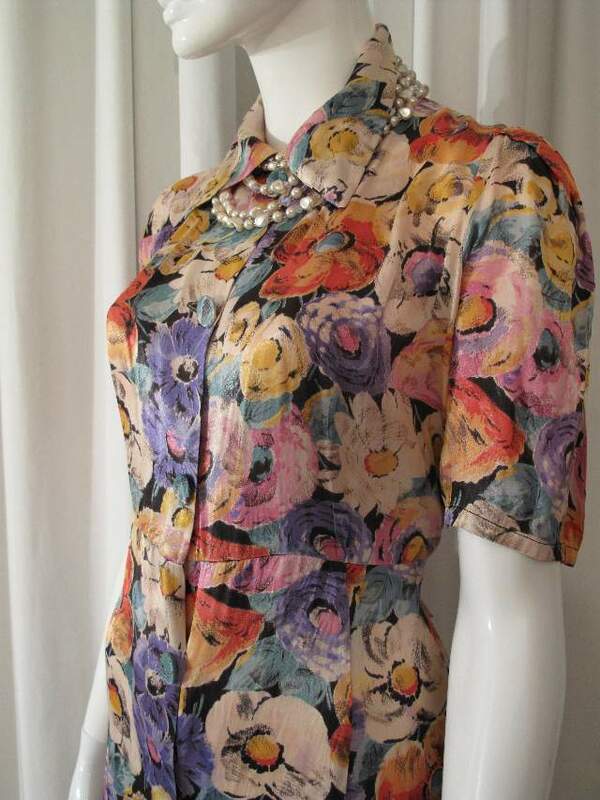 The rayon satin has a lovely sheen to it.